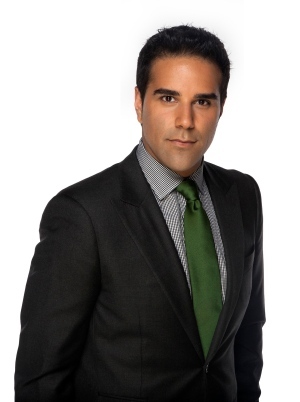 Omar Sachedina is the National Affairs Correspondent for CTV NATIONAL NEWS, covering significant breaking news stories unfolding across the country and around the world. He also serves as a fill-in anchor on CTV NATIONAL NEWS. Sachedina first joined CTV NATIONAL NEWS as a correspondent in Toronto in 2009 and moved to the Ottawa News Bureau in 2013 before assuming his current role in 2019. During his tenure in CTV’s Parliamentary Bureau, Sachedina filed frequent reports from Parliament Hill and the National Capital Region, and travelled with the Prime Minister to cover international summits and conferences. He also served as a fill-in host on CTV News Channel’s daily marquee political program POWER PLAY. Part of CTV News' 2015 Federal Election team, Sachedina reported from the campaign trail from coast-to-coast-to-coast. In July 2017, he had an exclusive sit-down with Bank of Canada Governor Stephen Poloz to discuss the decision to increase interest rates for the first time in nearly seven years. In August 2017, Sachedina travelled to the heart of the fabled Northwest Passage aboard a former Canadian ice breaker, where he filed television reports and blog posts from the technologically-connected vessel. The journey was captured in an hour-long feature for CTV's W5. Sachedina was also part of the CTV News team covering the Rio 2016 Olympic Games, where he interviewed Governor General David Johnston, and delivered a piece on a Canadian teacher who set up a music school in a favela. For this story, Sachedina and his cameraman and editor, Marc d'Amours, were honoured with an Edward R. Murrow Award by the RTDNA. Sachedina’s breaking news assignments have included the November 2017 church massacre in Texas and the January 2017 mosque shooting in Québec City. He also covered the tragic mass shooting at Sandy Hook Elementary School in Newtown, Conn., the Boston Marathon Bombings, and the mass murder of 77 people at a youth camp in Norway. While based in Toronto, Sachedina covered the Royal Wedding of Prince William and Kate Middleton in April 2011. Previously, he served as a reporter and anchor at CP24, Toronto's source for breaking news. Born in Vancouver to parents of Indian descent from Uganda, Sachedina travelled to Uganda in 2005 to produce an online documentary while on a PBS Frontline Fellowship. Sachedina was the recipient of the 2010 RTNDA Canada President’s Fellowship. He has a degree in Political Science from McGill University, a Masters in Journalism from Columbia University, and is a graduate of The Poynter Institute in St. Petersburg, Fla. He speaks French, Gujarati, and Kutchi. He enjoys travelling, music, and sampling food from around the world. Follow him on Twitter @omarsachedina and on Instagram @osachedina.